Recently i expanded the VMA101 with an VMA205 whereas i have issues with programming when the daughterboard is connected onto the VMA101. Sketch uses 251972 bytes (50%) of program storage space. Maximum is 499696 bytes. Global variables use 28052 bytes (34%) of dynamic memory, leaving 53868 bytes for local variables. Maximum is 81920 bytes. In the manual it states that the switch 1 should be off before programming and turned on afterwards. These instructions i follow without any result. Reading various blogs it seems this to be a common issue with the wireless modules whereas resolution to the error is hard to find. As these products are purpose build to interface with each other the wiring is automatically correct though some step is missed. Anyone have this error before? Turning of the TX and RX with the 2 switches allows the Arduino to be flashed though till now luck to get anything out of it. Though still not able to flash the device, communicate with it using the Mega board etc… Also no WiFi signal is received. When reading the output at 115200 baud the system sends: “Ready” <-- whatever that might mean. So after the weekend still nothing useful. 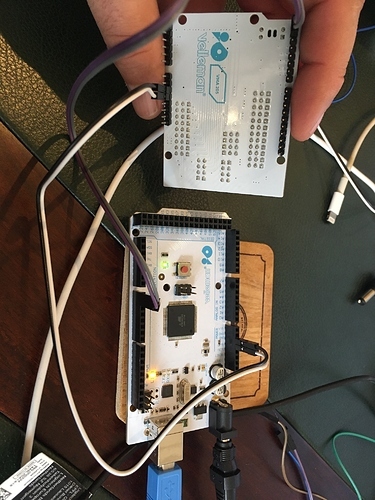 Started wiring up the device with a 5 volt power source using the UART connection on top of the Shield and connect it via an MAX232A onto an USB->Serial cable. Output of the shield is similar to the previous post and no progress is made reviving it. Waiting for the ARD-A000059 to come in which is an USB to FTDI converter (basically an USB->RS-232->MAX232 on a single board). Hopefully that helps as some posts suggest to use such as setup. Thursday i hope the board is available at our local hardware store (needed to be ordered) so i can continue development. Last update - when “ready” is received and sending commands like ‘AT+GMR’ results in “ERROR” for every command send… What could be the problem…? When you are flashing the VMA205 you shouldn’t have any serial communication or code running on your Arduino. It causes the flash process to fail for sure. So the first step is connect only the Arduino to you system and start a new project with nothing in it. Push that to your Arduino. Now the system is clean and ready to start preparing for flashing the VMA205. To confirm that cleaning the Arduino was correct you should see only 9 Bytes being written. Now before we do this, make sure that you have unplugged the USB cable from your device. Now connect the expansion board to the Arduino. Beware that the pins on one side are not 100% aligned. The board fits even if you connect it wrong though you might damage the circuit as the ground, 5v and 3.3v would be incorrectly connected. Flashing the VMA205 requires an VMA440 interface to be connected to the UART port on top of the VMA205. For some reason i was never successful flashing the VMA205 using the serial interface off the VMA101 (Arduino Mega). Connect the TX, RX, 5V and ground to the UART port on VMA205. At this point you are ready to start the flash process. Don’t connect the Arduino VMA101 to your compute! only connect the VMA440 to the USB of your computer and this board will deliver power to rest of the components. Great! at this point you should see a blue light on the VMA440 and all the standard lights on the 205 and 101. Final step is to check that the switches are in the correct position. Both of them need to be in the ON position. Once you connected everything, switches are in the correct position and the system is powered on and the COM port is discovered you are ready to start the flash process. 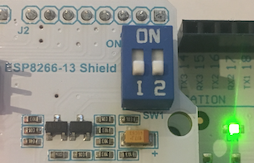 Before you can flash the board need to be set into flash mode which is done using the RST and KEY switches. Press the RST (AND KEEP PRESSED) followed by the KEY button (AND KEEP PRESSED). Now release the RST button followed by the KEY button. Your flash tool should at this moment recognize the VAM205 and start the flash procedure. So, let’s take a closer look to the switches on the board. 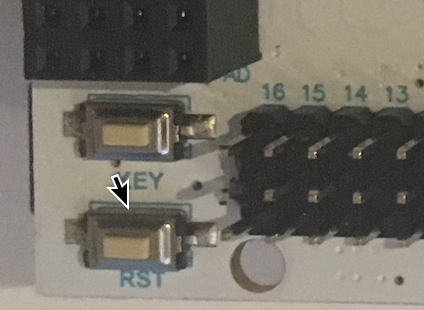 When both switches are in the “ON” position means that the TX0 and RX0 are connected to the VMA205. All messages send and received over the USB cable connected to the VMA101 are also received by the VMA205 and vice versa. Data send by the VMA205 on Serial are send to the VMA101. When in the “OFF” position the board is basically isolated from the TX0 and RX0. So when flashing the VMA101 the switches need to be in the “OFF” position otherwise the both boards are receiving information causing the flash of the VMA101 to fail. 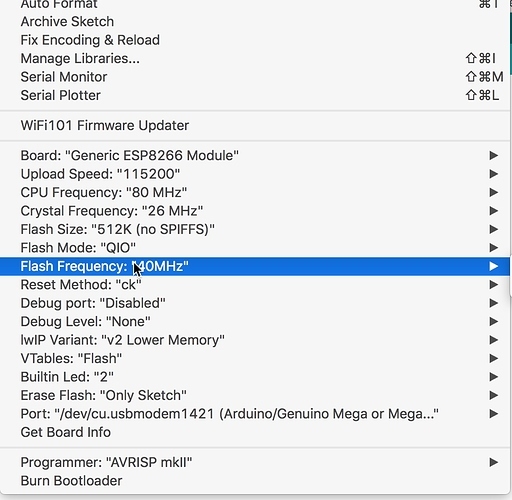 Now how to flash the VMA205 using the application “Arduino” to make it do something. Well the conclusion is: It can’t be done using the serial connection of the VMA101! An additional serial is needed in the form of a VMA440 to flash it. Same procedure as described to flash it with new firmware. 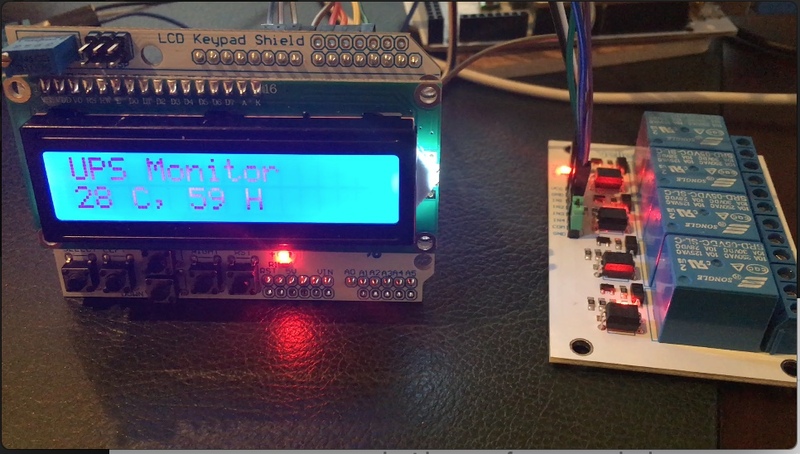 Connect everything, set the switches to ON and push the KEY and RST combination and start flashing from the Arduino app. 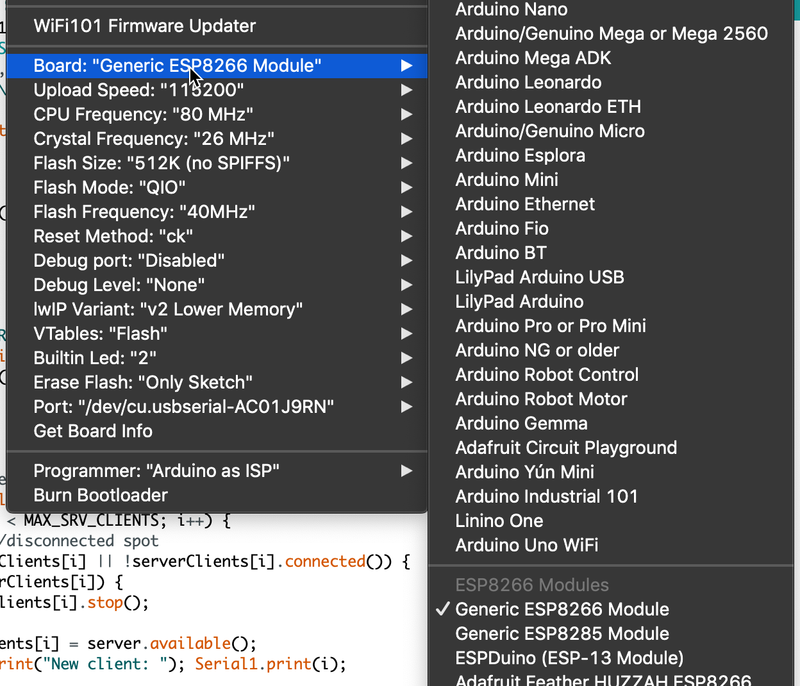 Make sure to select the ESP8266 and the correct serial.